Now it’s two projects off my to-do list! First was the quilt for Lily Rose, given away this past weekend. The second project finished is 20 granny squares for Crochet a Rainbow. The squares will be turned in to blankets and given to those affected by the recent nautral disasters in Queensland and Victoria. Actually, all I had left to do is weave in the ends. I made the squares when I first learnt to crochet a couple of years ago. My work has got better since then I’m pleased to say. 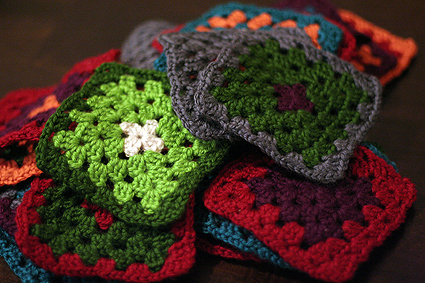 These granny squares will be the post soon. 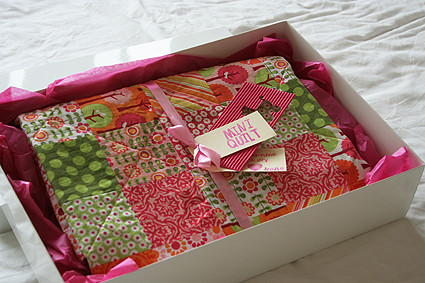 Beautiful packaging and granny squares! !